It’s happened to all of us. You’re wearing a pristine white shirt and you’re proud of yourself for having kept it that way for more than half the day. You go on your mid-afternoon coffee run and just as you open the lid to put some sugar in, a few droplets find their way onto your chest. Bam! Day ruined. As with all stains, time is of the essence. Fresher ones are easier to remove. Once the fabric absorbs the liquid, the best thing you can do is dab at it with a wet tissue. And by that, I mean tissue dipped in the universal solvent, water—because who actually has one of those Tide pens in their bags anyway? Alternate wet and dry tissues until the stain lightens. If getting your shirt wet is not an option—and let’s face it, it hardly ever is—here are a few tricks you can try once you get home. 1. Do not rub! Dab and blot the area so as to avoid spreading. 2. If rubbing is needed, wash from the “wrong” side to avoid damaging the fabric. I personally use a toothbrush for this. 3. Do not use heat. This might cook the sugars in the liquid and will cause the stain to set. 4. Always spot check. You never know how the fabric will react to the cleansers. Scrape off the congealed blood, then soak the fabric in cool water, detergent and ammonia (you can get this from pharmacies). If that doesn’t work, try hydrogen peroxide (a.k.a. agua oxegenada) but this might bleach the fabric. Using white wine to remove a red wine stain is an old wives’ tale. Instead, generously coat the stain with salt for a few minutes, then flush it with water. This can be difficult. Have a go at it with an oxidizing agent like hydrogen peroxide or oxygen bleach. Those things pack a punch in the coloring department! 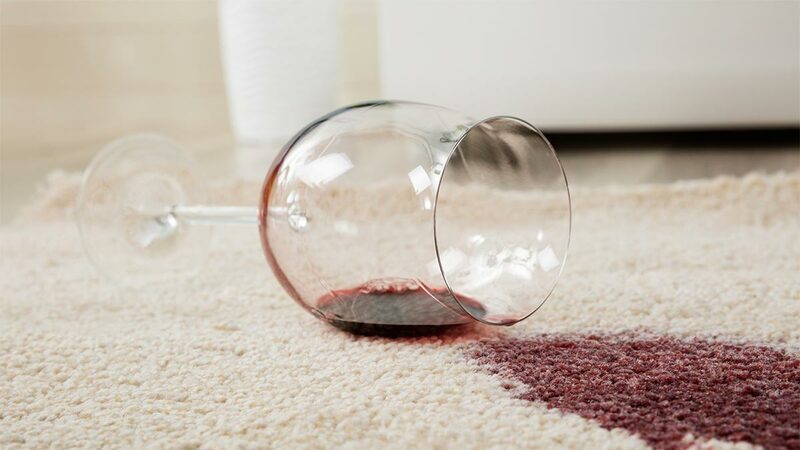 Blot the stain with a dish soap solution (1:20 ratio). Rubbing alcohol should be able to life the stain from an alcohol-based marker. Just be sure to do this carefully as pouring alcohol all over the spot will form a ring instead. Technically, you’re supposed to soak the spot in a product with enzymes. At home, reach for acids such as vinegar and calamansi. Scrape off the hardened wax. Then reach for the ironing board—you’re going to want to melt the remaining wax and blot it. Gently iron the fabric with a clean tissue above and below it. Be sure to replace the tissues once they have absorbed some of the wax, lest they spread it to other parts of the garment. In summary, stains can be removed through enzymes, surfactants, builders, and bleaches. The first three can be found in household detergent, so you don’t really have to break out the DIY kit unless spot treatment with detergent doesn’t work. But when all else fails, call a pro.